The most important reason for going from one place to another is to see what’s in between, and they took great pleasure in doing just that. I was warned. Warned that returning home from a long expedition is not something to be taken lightly. Luckily I half listened and have made it through the two months since we got off the ice without too much drama. One cannot underestimate what a heavy toll a long expedition like this takes on you not only physically, but also mentally. We traveled over 1000km over 65 days in what was possibly the trip of a lifetime. 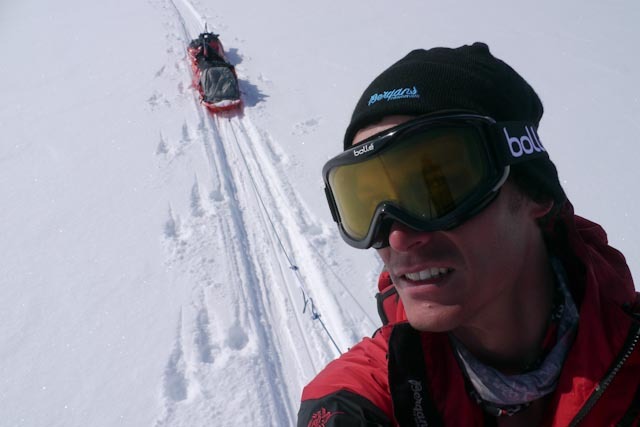 It was a steep learning curve filming in a very harsh environment, always on the move and dealing with the added complication of wrangling our sled dogs during filming. The dogs favourite activity was running straight towards the cameraman who was often the only point of reference on the featureless sea ice. 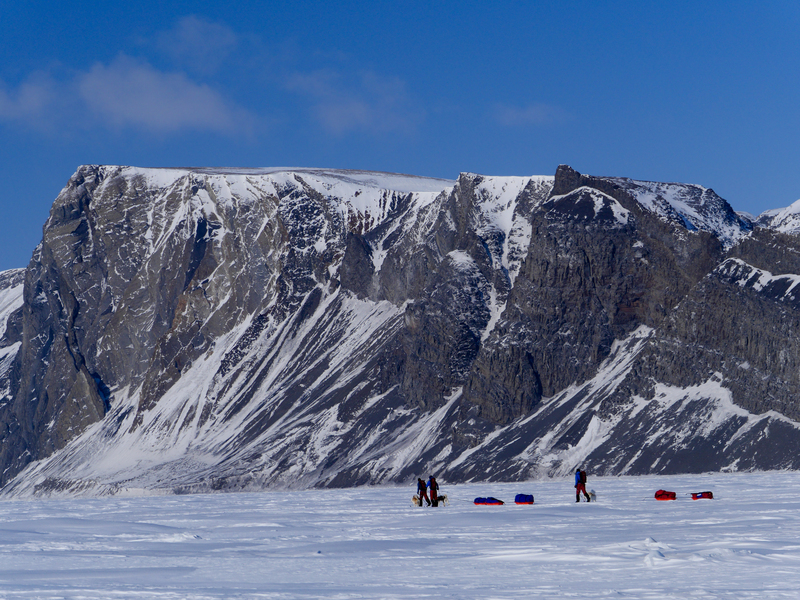 Ellesmere Island delivered. Wow! Is all I can say. We had a polar bear coming by to check out our camp. We saw over 60 arctic wolves, who were very interested in our canine companions. Arctic hares were so tame you could walk right up to them. 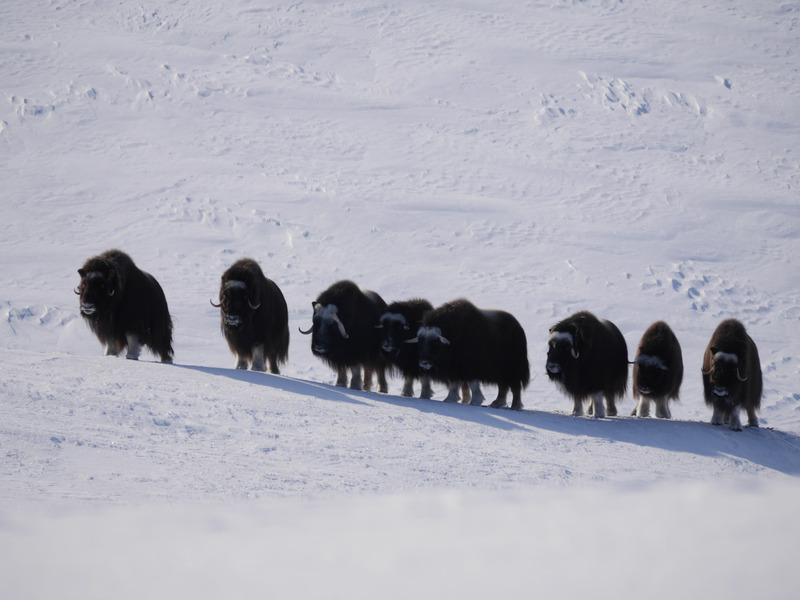 Shaggy herds of prehistoric looking Musk Oxen formed their defensive walls when we got too close. Since returning to Norway Toby and I have been doing some talks about the expedition to school children and at a mountain music festival. We even appeared on national television on a ‘summertime’ talk show, which was quite an experience. My Norwegian is just about good enough to understand what people are saying to me, but for complex stuff I have to answer in English. So its a Norwegian interview where this strange guy answers everything in English! We are trying to track down the link for that and will post soon. My body is just about back to normal, although I still can’t run without discomfort. Summer in Norway meant that I gained back lost weight almost instantly and any signs of frostbite on my face have healed completely. I am currently wading through almost 70 hours of footage in preparation for our film which will air on TV2 in Norway around Christmas time. In the next few weeks I will write more gear specific posts about how it all held up at -40 as well as hard earned tips for filming in the cold. For the past two months I have been training in the forests in and around Skien in Telemark, Norway. Part of being an expedition cameraman is being fit enough to actually do the trip – there are no free rides. I was watching Everest Beyond the Limits last night and was totally blown away how that crew managed to capture the expedition in 2006 – awe inspiring. I don’t like the overly dramatic approach to the series, but spare a thought for the cameramen who not only have to climb but also film. So with a little perspective I have been testing camera gear for our New Land Expedition which departs to Ellesmere Island in the Canadian Arctic in a little over 1 month. While we won’t have to deal with altitude being at sea level much of the time we will have to deal with extreme cold. At the beginning of the trip we are expecting temperatures as low as -40 degrees (where Celsius and Fahrenheit meet) where unprotected skin will freeze in roughly 30 seconds. 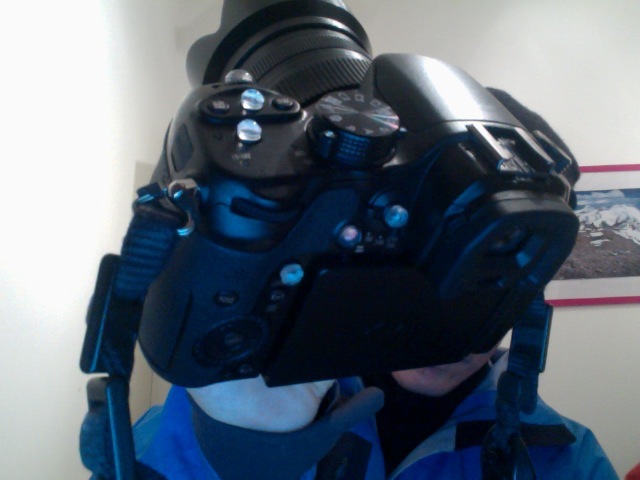 Physically being able to operate the cameras is one thing and that is why I have begun modifications that will allow me to use them with thick gloves on and still have enough manual control. One of the benefits of being in Norway is that I can get the cameras relatively cold to see if they will function in subzero temperatures. Two weeks ago I managed to get out filming in around -22 degrees which gave some level of confidence that we have a system that will work. There are times in life when being asked to do something throws one into an emotional turmoil of indecision. I remember being asked a few years ago to film an expedition down the Congo River. The expedition leader had met with Preisdent Kabila who had given the go ahead, but could not guarantee our safety through rebel held areas in the north east of the country. I remember being utterly torn about the decision. For once the danger just seemed unjustifiable. If the rebels didn’t get you then in the upper reaches some of the highest densities of hippos and crocs surely would. My dreams were filled with extreme scenarios of disaster, but in the waking hours I thought how amazing it would be to traverse a landscape so few had seen. At that time it would also have been the first full descent of the river from source to sea. Thankfully the decision was made for me. War flared up again in the DRC and the expedition was called off. It did however give me my first glimpse into making these types of choices. Earlier this year I was faced with a similar choice. 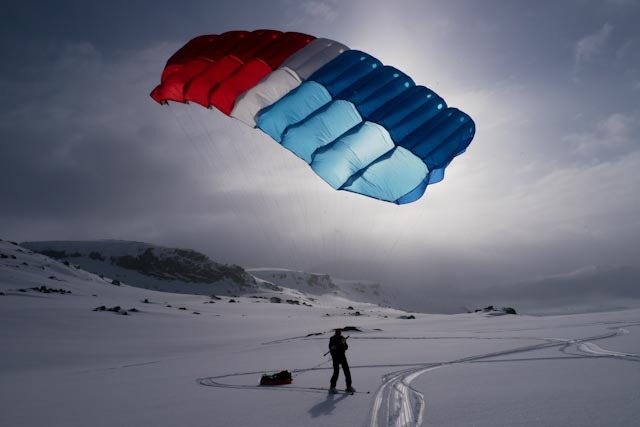 I was asked to join a 72 day kiting expedition in the high arctic to Ellesmere Island – truly one of the most remote and seldom visited areas on the planet with herds of polar oxen, arctic foxes and of course polar bears. This time my dreams were of crunching footsteps outside a tent at 40 degrees below zero and nothing except a thin nylon shield between me and the largest land carnivore. Added to that I am now at a time in my life where I have to consider others in my choices. How would my girlfriend cope with me being away for that long? Could I take the knock financially? Importantly it would also involve up to 20 hours of physical training a week for the six months prior to departure. Suffice it to say the choice has been made, and in April of next year I will set off into the unknown with three companions and four Inuit dogs. Once the choice is made it somehow gets easier. One becomes better informed and realistic. More people have been killed in zoos by polar bears than in the wild. 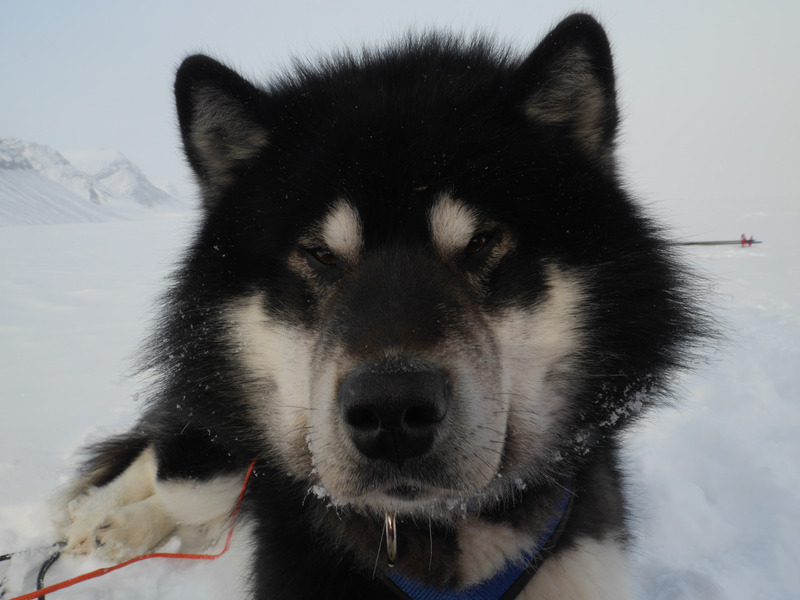 My companions have hundreds of days of sled dragging through the arctic between them and I will be in very good hands. Now my thoughts now turn to practicalities. How the heck am I going to film it? What gear will I use and what modifications need to be made to film at -40 (where Fahrenheit and Celsius meet)? Training begins in earnest now and I have the requisite tractor tire to pull around looking like a real moron. Over the next few months I’ll update my training progress and also give thoughts on gear choices and testing of equipment. Its a terrifying thing to go into a shoot not knowing if you have the physical skills to be in the environment you are going to shoot in. 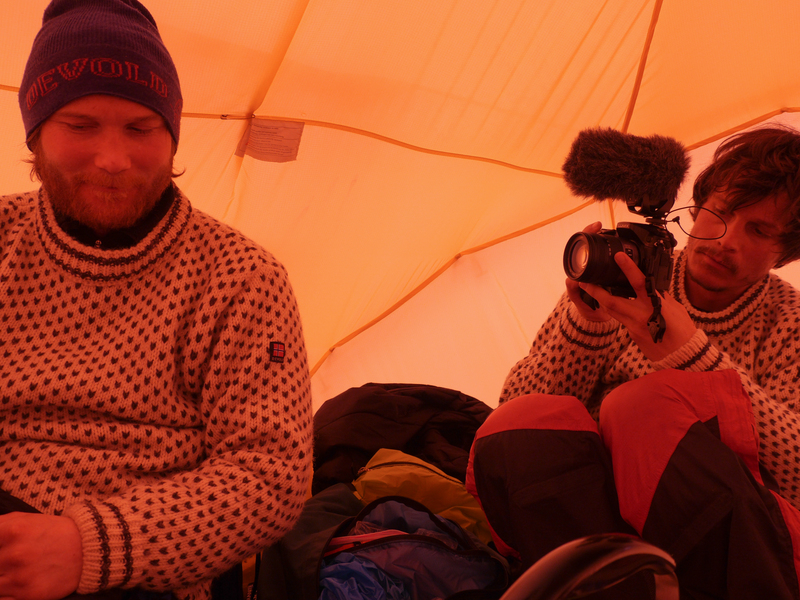 I was in this position last week while filming a mini shakedown expedition at Finse in Norway. 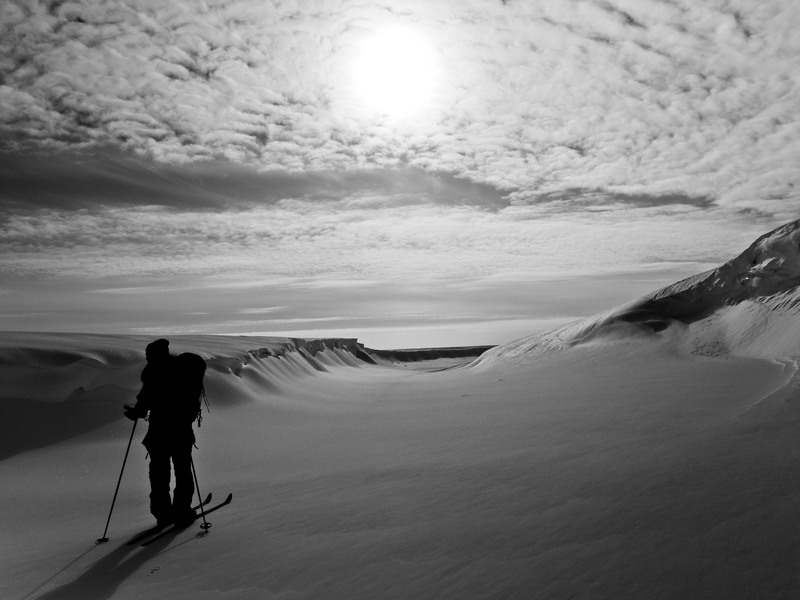 The expedition comprising of a Norwegian and American polar duo is going to spend 70 days in the high Arctic next year. I was there to document their preparation. Now, the crazy thing is that being so far out of one’s comfort zone you also have to shoot. Day one had heavy snow and such flat light that we had to throw snowballs in front of us to make sure we were not about to plummet, sleds and all, down a steep slope. Depending on how long the snowball takes to make a sound tells you how steep the slope is. If you hear nothing its probably best not to continue. One thing I have learned on mountaineering trips is that if your camera is in a bag and you have to stop what you are doing and take it out to shoot, then you will never film enough. I had my trusty Panasonic GH1, which has been to the top of 3 of the seven summits and refuses to die, around my neck and under my jacket so I could shoot. The GoPro was a life saver and somehow I managed to muddle my way through the first day. Does this look like a guy who knows what he is doing? Now if it had just been sled dragging that would have been fine, but the plan was also to ski sail, which is skiing with a kite like sail while dragging 40kg of two sleds behind you on a rope – not being the most co-ordinated person the possibility of things going wrong with ropes, kites and skis was high. However, with some expert instruction I soon found myself whizzing along at high speed across a frozen landscape with my sleds dragging behind and a huge smile on my face. 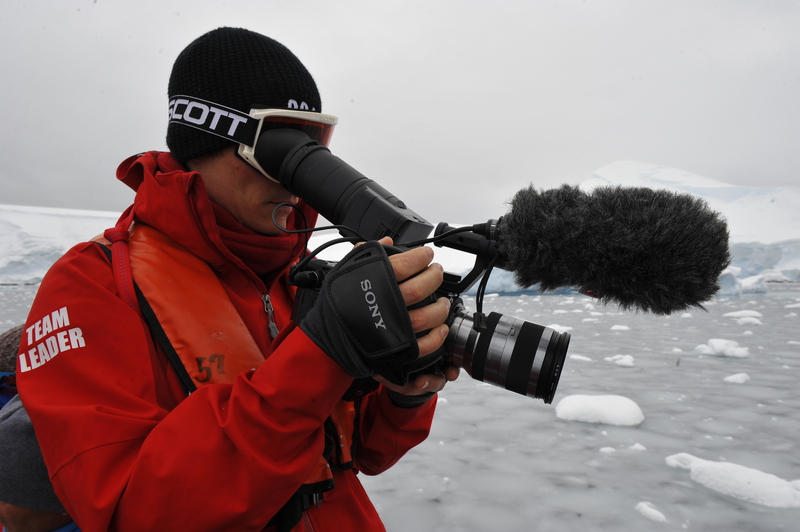 Despite the ups and downs of documentary film making I still think it is the best job in the world. Ski sailing, the most fun under the sun. Its amazing what 14 hours of sleep can do. After two weeks of little sleep and long days in zodiacs filming the Inspire Antarctic Expedition with Robert Swan I am back in Norway. What a trip. 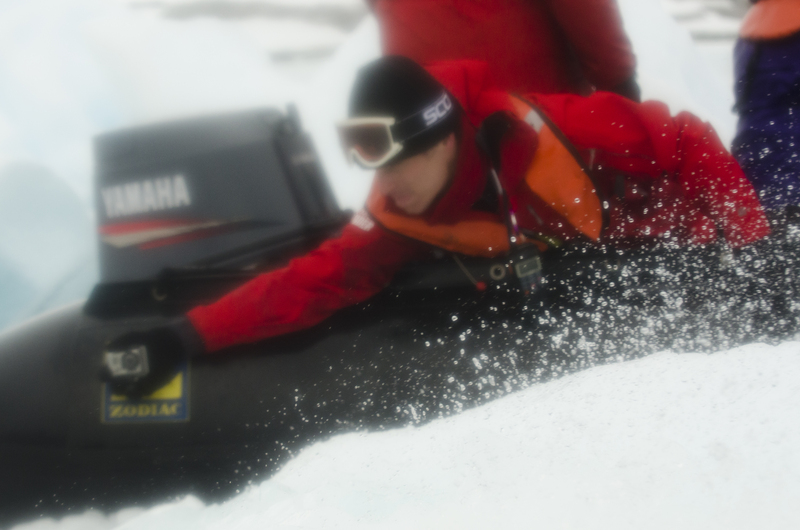 Probably the hardest shoot I have ever had in the Antarctic with very marginal conditions for most of the trip. On our first zodiac excursion we followed some breaching humpbacks into the giant swell of the Drake Passage with huge rolling waves and tonnes of ocean spray. On the second day another cameraman on the trip destroyed his camera on a zodiac ‘cruise’ with the wind gusting up to 50knots and horizontal spray being whipped off the ocean. Thank goodness for spray covers and the gopro I always keep in my top pocket for these type of situations. 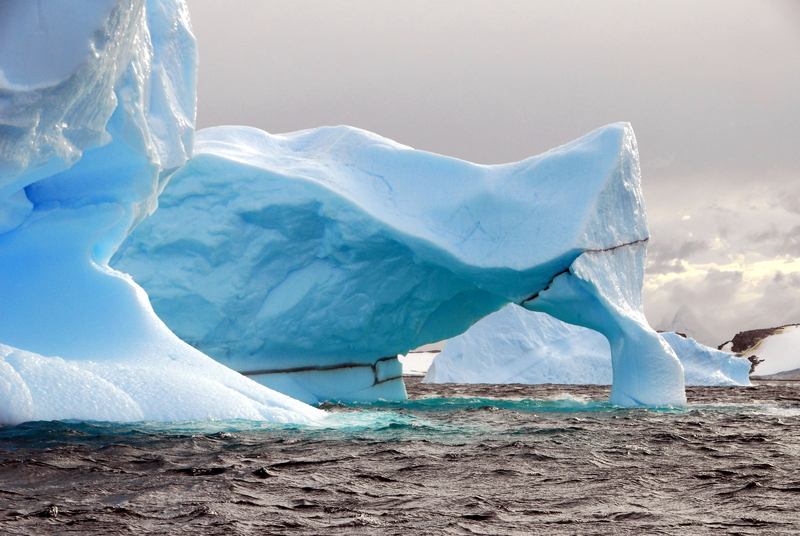 Icebergs film well under dark skies where the blues really glow and as we sailed through the Le Maire channel Antarctica revealed her moody side with very tempestuous conditions which feel like they can change at anytime. 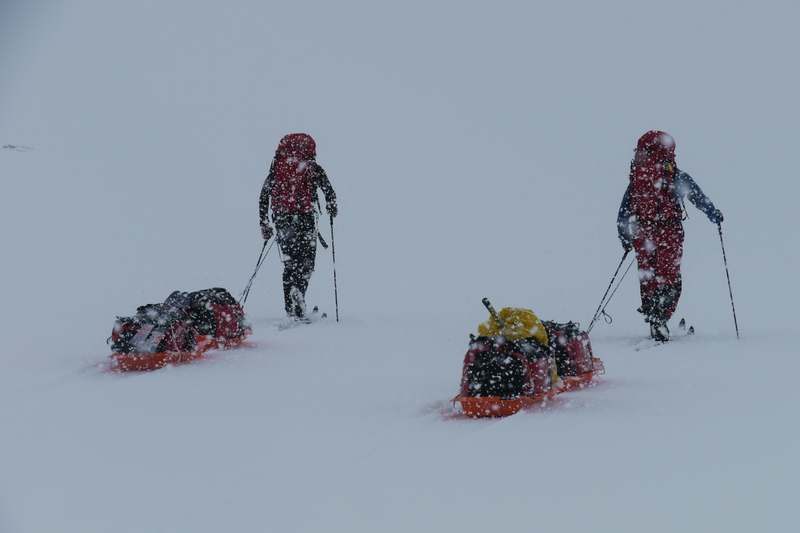 To me this is the real Antarctic and for many people on the expedition the relentless conditions tested them to their limits. A trip with sunny skies and calm weather robs people of this experience, so give me rough conditions anytime. My new camera handled very well and delivered fantastic images. I will post a more detailed tech-nerd post in a few days for those who are interested. The highlight of the trip was when our safety officer Jumper sneaked a zodiac ride for myself and John Luck the photographer to go and hang out with some very inquisitive humpback whales who at one stage were under our boat with giant cream coloured pectoral flippers visible on each side. With the engine turned off we floated for about 15 minutes with the whales diving and surfacing around us often within only 5 meters. Amazing. Worryingly the Antarctic peninsula gave us a lot of rain this trip. It seems incredible to be in the Antarctic in the rain. Although only anecdotal I have to say that in my early years of visiting the Antarctic we never had any rain. Shane our expedition leader who has been on the peninsula every season for 18 years says he can only remember rain in the last 5 years. I will post some video in the next few days. Its a little under a week until I leave for the Antarctic. For me that only means one thing… the eternal packing and unpacking has begun. Flying with camera gear is a real mission and seems to get harder all the time. Airlines are stricter and it is more difficult to carry overweight hand baggage onto the plane. To overcome this I have developed a few tactics. The first is the nonchalant standing with my camera backpack on my shoulder trying to act casual despite the fact that it weighs around 16kg! This usually works but now and then you are asked to weigh your hand baggage. When that happens I act as if it is the most natural thing in the world and put it onto the scale. As the numbers rocket up to a stunning 16kg I act surprised – “Wow I did not know it was that heavy.” The next step is to take out my laptop which I then say – “Oh ok, I’ll just carry this separately” as most airlines allow you to take a laptop on as an extra piece. If this doesn’t work then I flamboyantly open my bag and show the stunning array of camera gear bulging and say that it is too fragile to check in with my other luggage. This has always worked. In one instance I have to take the camera out of the bag and carry it separately. Suffice it to say that luggage is one of the major stresses in my life when it comes to filming in another county. More than once I have arrived somewhere with my tripod nowhere to be seen and had to shoot for 10 days without a tripod. My basic rule of thumb is that I should have enough kit in my hand luggage to be able to pull off the shoot if my other bags do not arrive. Another consideration is getting into the country you want to shoot in without arousing the suspicion of customs that you are going to film in their country (often without a permit). To overcome this I have made sure that my camera bag looks really battered and that for the most part I pack everything I need into one big duffel bag which looks like I could be going on a climbing trip or just a regular tourist. 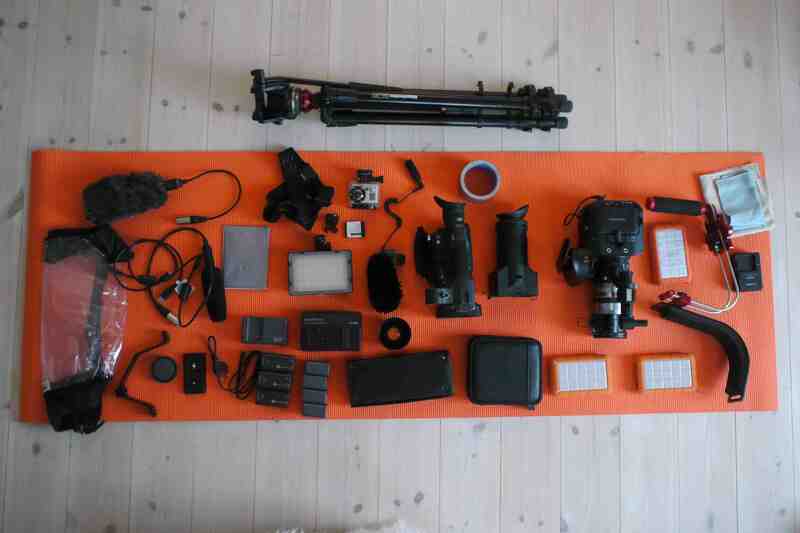 Once in Australia I had to convince very astute customs officials that I was an enthusiast going to film on the great barrier reef… “But this is very pro kit for a tourist mate…”. Even as I write this I feel stressed about my upcoming trip. Oh well, better get back to packing and unpacking which will take at least the next 3 days. Will post more once I land in Argentina. “Chimpanzee!” was the whisper from Petit Jean, our Baka tracker as we crawled our way through the thickest undergrowth I have ever seen. By my estimations they were about 150m away and the current visibility in the forest was about 15m, it was a lost cause. We had been sweating our way through the Congo Rainforest for 3 days and so far I had only filmed a few butterflies and a millipede! It was tough going. 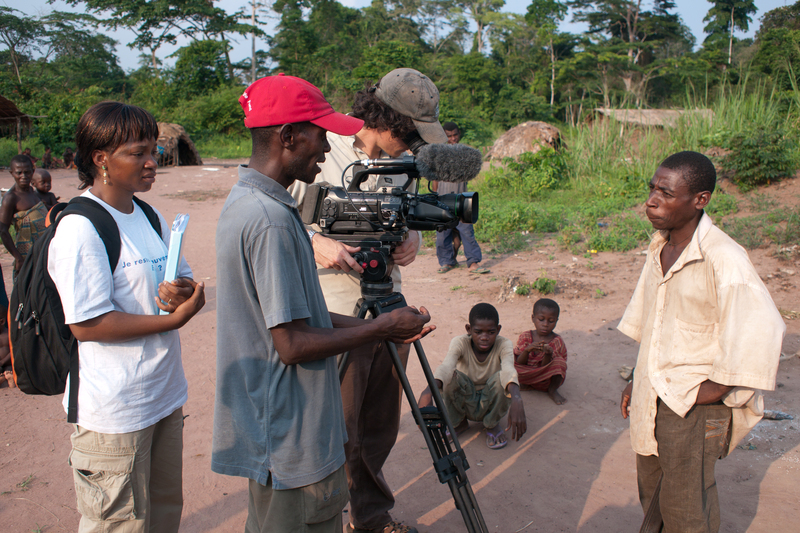 We were filming in a relatively new national park on the border of Congo and Cameroon. A beautiful wild area, but also an area under attack. Every day long lines of trucks carry massive old trees from the forest and take them to the coastline for transport to Europe and the east. 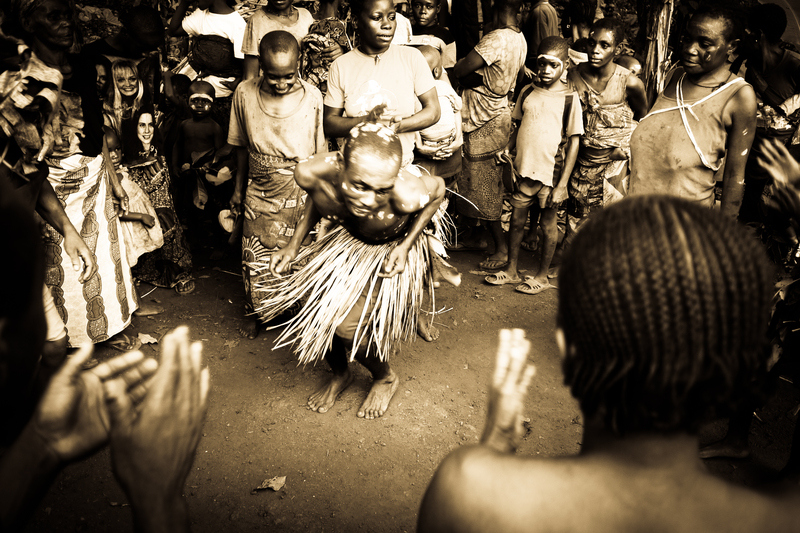 Our main goal was to film the lives of a group of Baka pygmies who lived on the outskirts of the national park as well as film wildlife within the forest – elephant, gorilla and chimpanzee. 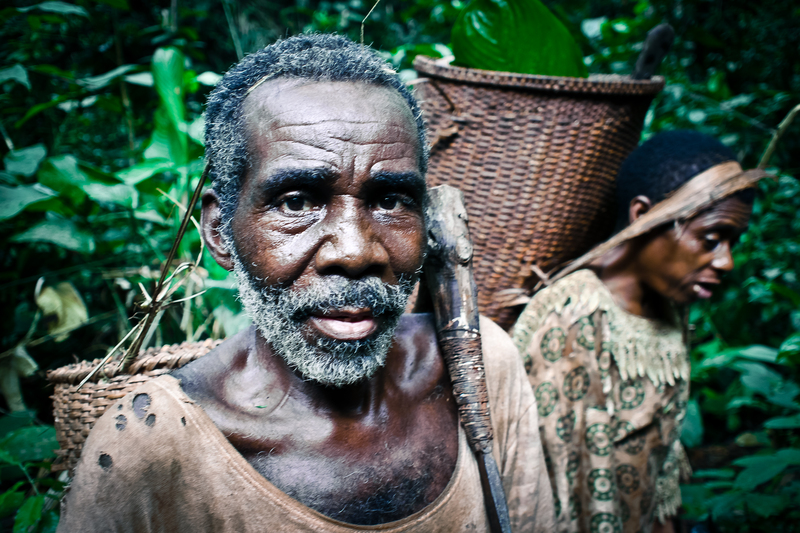 Traditionally hunter gatherers the Baka now eke out an existence in degraded forest and are also abused for their labour by other surrounding ethnic groups. When it comes to maginalisation this is the quintessential case. We had been following a few individuals as they went about their daily lives, trying to get by. Onja was the oldest Baka in the village. Not quite sure when he was born but he thought he was around 60. Still we could not keep up with him on his daily expeditions into the forest. Turning the world around him into useable impliments with just a machete and some twists and turns. Buckets, traps, you name it he could make it. Pygmies are actually pretty small. Filming in CAF. It is often too easy to sentimentalise and objectify the things one films. The Baka embody what many of us would hope is possible – a symbiosis and harmony with nature, the Garden of Eden scenario which would make us all feel better about living such detached lives. The reality is that it is daily struggle and has probably always been a very hard way to live. The Baka see what the rest of the world has to offer, and they want that. They want beds to sleep in and they want their children to go to school. Filming in these sorts of situations raises a number of questions. One always has preconceptions before arriving in a place. What it is going to be like, and what the story is going to be? Unfortunately these preconceptions are often wrong as they were in this case. However as a documentary filmmaker it is not your job to imagine reality but rather to capture it as truthfully as possible. 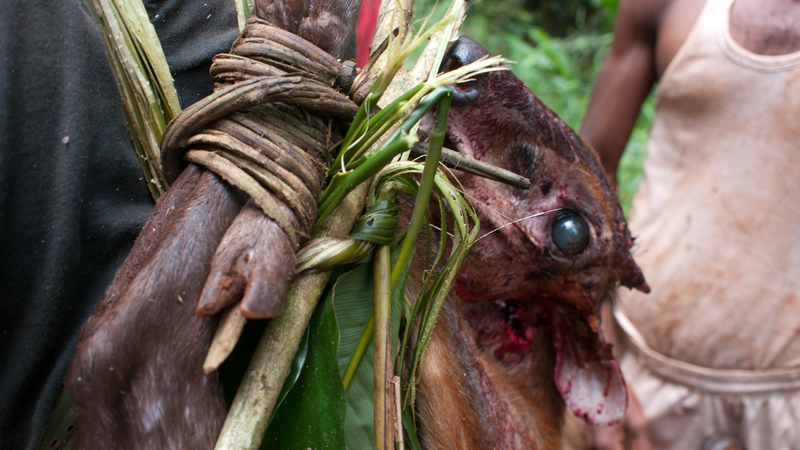 Over a period of a few weeks we followed the Baka as they hunted and fished and tried to merely capture their reality – not always easily done. The film was almost complete, but we were missing one crucial element… elephants and gorillas, the big boys. We gave up in the new park and realised that we needed a more controlled environment. 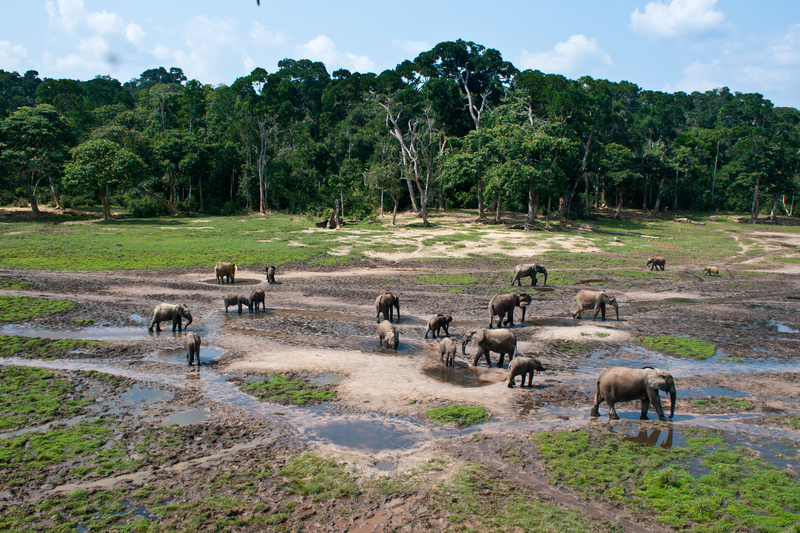 Across the border in the Central African Republic we gained access to film in Dzanga Sangha National Park – a little gem with an incredible elephant clearing in the forest and a group of relatively habituated gorillas. We had one interesting encounter with the silverback on one of out shoot days where he came charging at as out of a clearing. Of course my camera was pointed in the other direction and all that was on my mind was “Don’t make eye contact!” as he stood there grunting just 10m away. 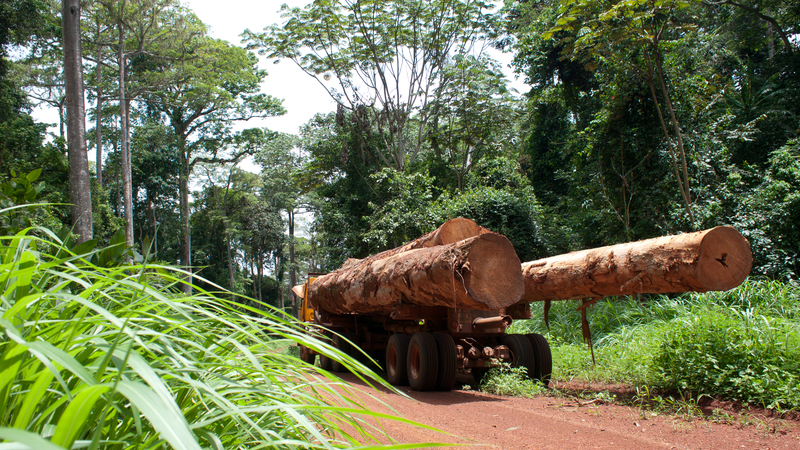 The Central African rainforests are changing so quickly. The rate of deforestation is difficult to describe. People have long spoken about peak oil, but now they have begun to speak about peak timber and a time when these great forest might actually dwindle. I often think about people after a shoot and in a strange way it never seems real. One never thinks about what happens when you leave a place, but as I write this Onja may be sitting by a fire during a rainstorm, or trudging through the forest picking wild seasonal fruit and all the while, the chainsaws are buzzing.